As a mother of two, loving wife, avid blogger, fashion & health fanatic, and much more I am always looking for ways to save time and simplify my life. When it comes to my diet, I more often than not opt for the healthiest choice—but it can be difficult finding the time to cook three meals a day when I’m always on the go. 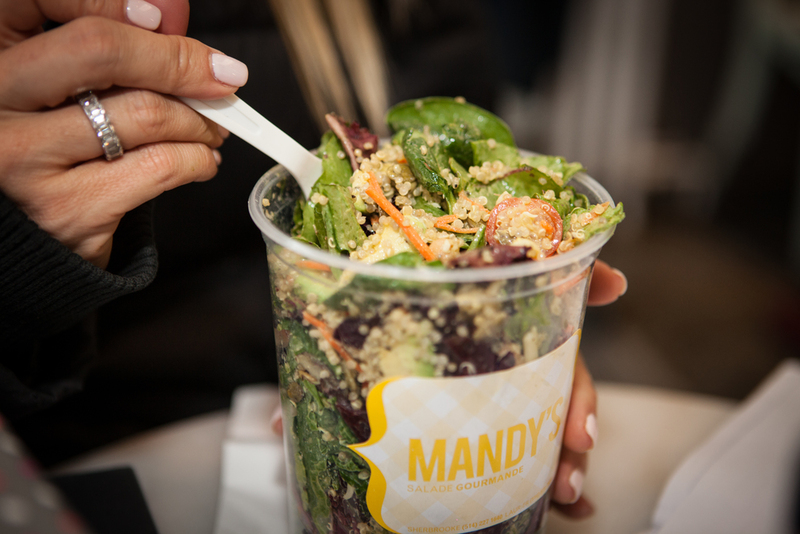 That’s when Mandy’s Salad Bar comes to the rescue. 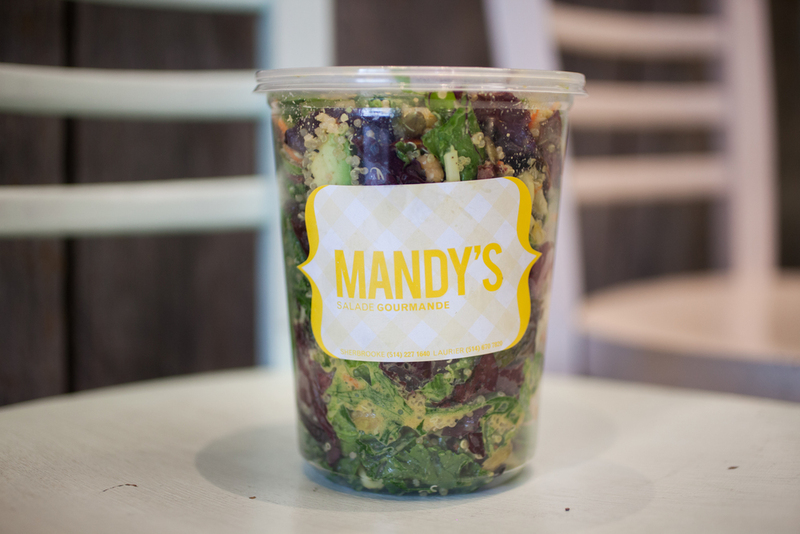 Mandy’s was founded by sister duo Rebecca and Mandy in May 2004. After living in New York, a city brimming with health-oriented restaurants and salad bars, Rebecca noticed that this was exactly what Montreal was missing. 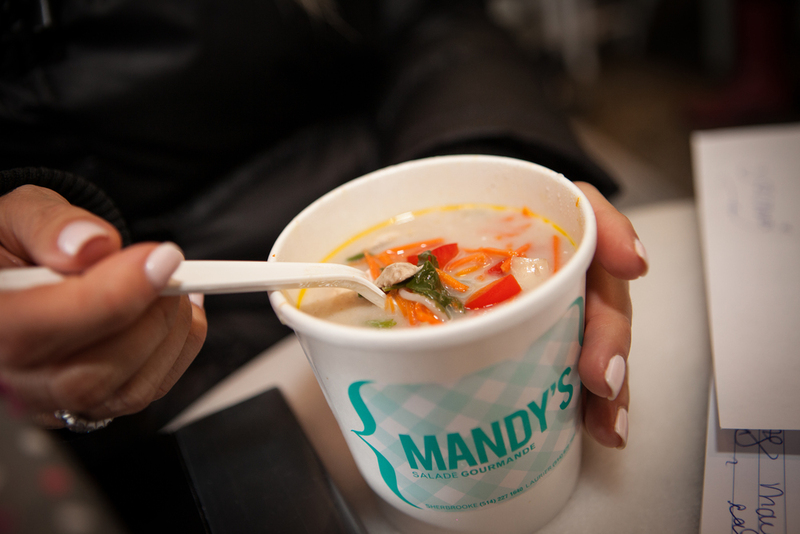 Mandy, the true foodie always had a passion for cooking and is the genius behind all their mouth-watering creations. 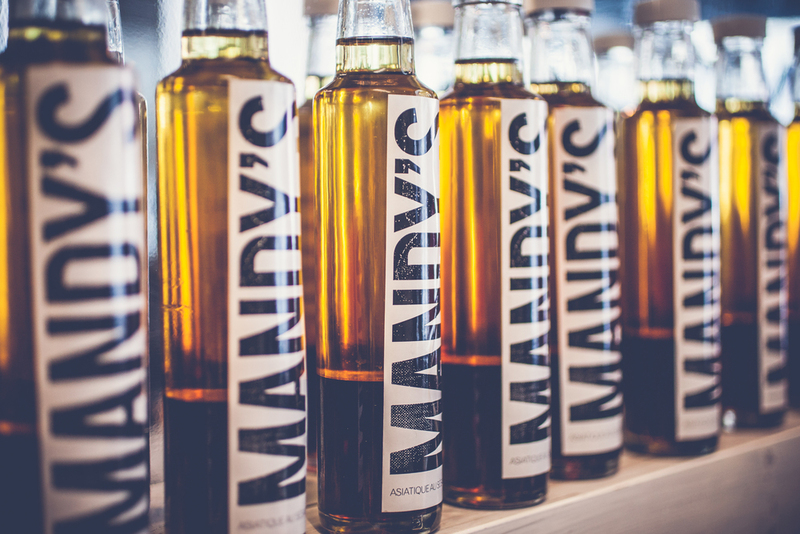 Together, they’ve made Mandy’s a household name. Their first location was in the ever-trendy Mimi & Coco on Sherbrooke in Westmount and several years later, they opened shop at the retail store's Laurier location. 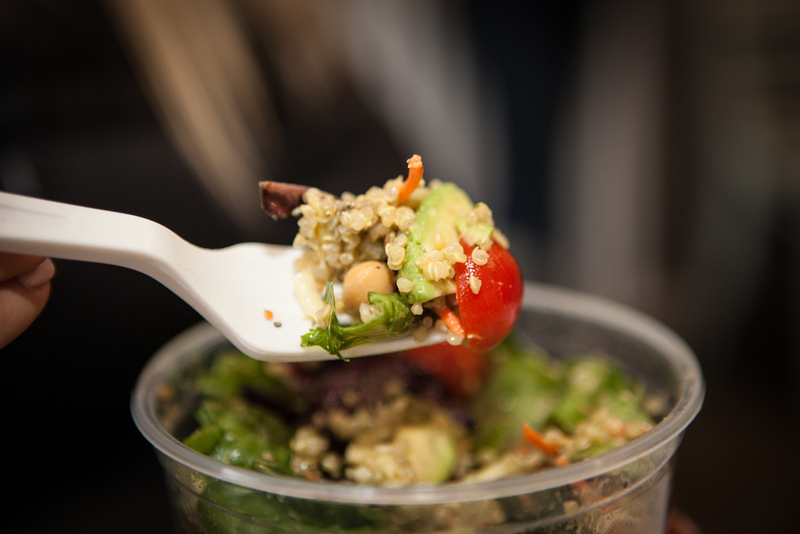 Offering a variety of salads and the option to build your own with plenty of tasty toppings and dressings, its no surprise that it was an immediate hit in both neighborhoods. Also on the menu are homemade soups and smoothies as well as coffee and tea. 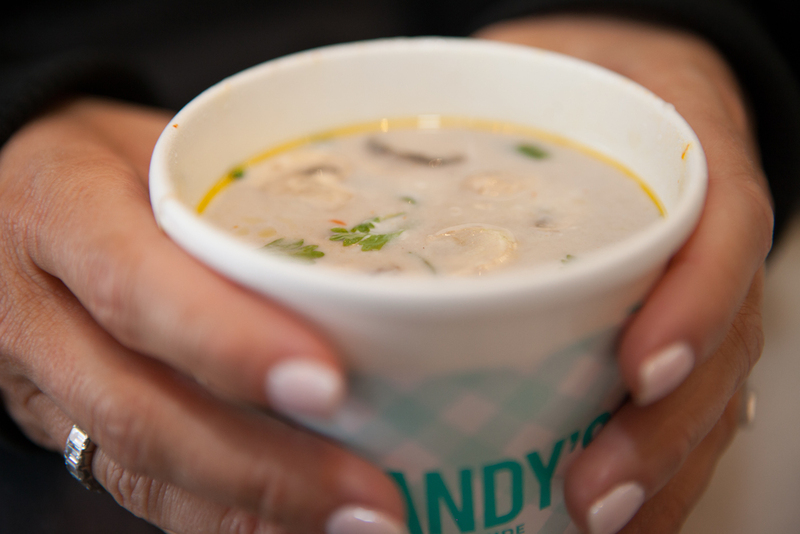 Some of my favorites include the Mexican and December salad and the coconut milk soup. You can also create your own salad and choose your dressing, they are all good ... but I always go back to the coriander-cumin, the tamari or asian dressing. When I’m too pressed for time, I’ll grab a smoothie that will keep me going until I get a chance to sit down for a proper meal. Rebecca is the brain behind the incredible décor of the shops, bringing vintage flair and a cozy ambiance to each of the locations. 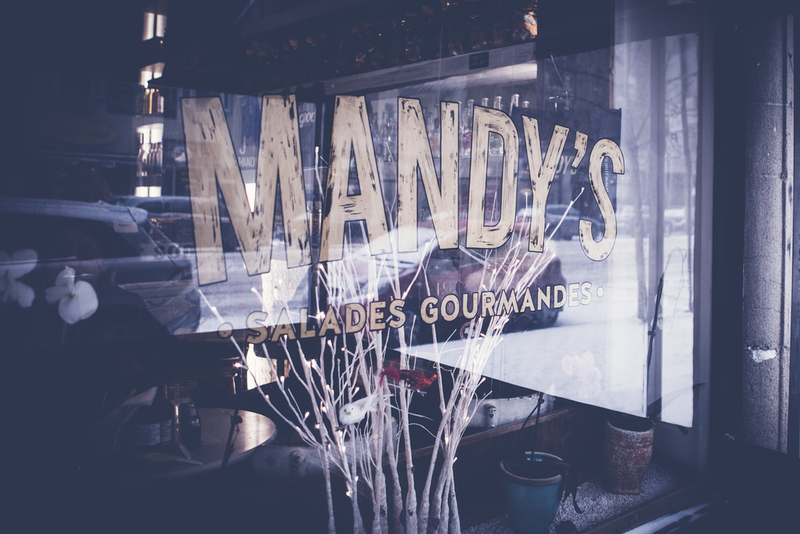 Meanwhile, Mandy has kept reinventing the menu based on the food trends of the moment and her own culinary experiments. Celebrating over 10 years in the business, these ladies are opening their first downtown location on Crescent Street this spring! Make sure to pop in and try their delicious and nutritious menu items! 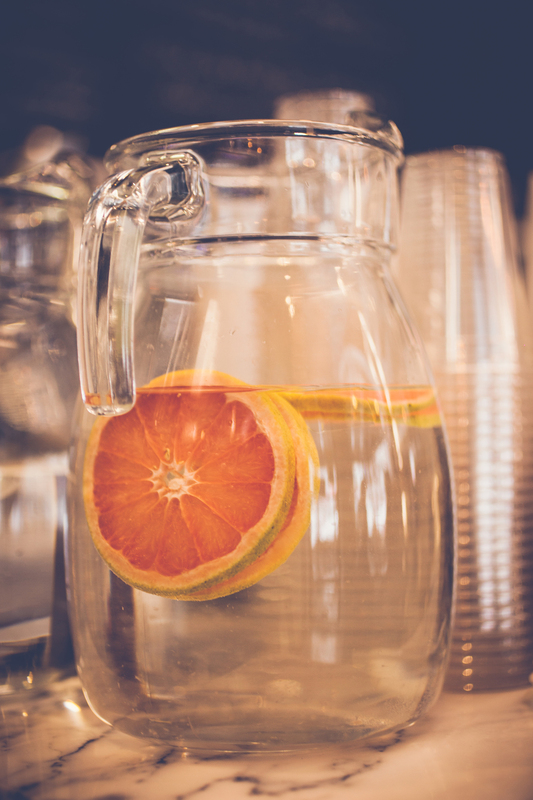 If you’re pressed for time, call in advance for pick up so you can fuel up without slowing down. By the way, they also have delicious homemade chocolate chip cookies, I always tell Rebecca that it's for my daughter, but by the time I get to her school only half of it is left! On the bright side, its a compelling incentive to hit the gym the following day!